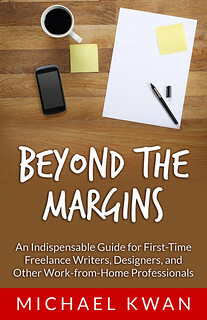 As a freelance writer who also happens to own a personal blog, I oftentimes find myself treading the increasingly narrow path between my professional life and my personal life. Some of my best clients also happen to be among my best friends, both online and offline. As such, I am very cognizant about how I choose to run my business. This becomes a concern when it comes to company mentions. You may remember last year when I said that freelancers should never burn bridges. Even if you’re not seeing eye-to-eye with a particular client, you can terminate your professional relationship with no hard feelings for everyone involved. Should you encounter this person again in a different capacity, it is still possible for you to work together. It also means that they are less likely to speak ill of you. The concept of avoiding the burning of bridges comes from an “after the fact” perspective, but you also have to be predictive and proactive in your approach too. If you’re like me and you have a personal blog, you may want to be careful about how you go about discussing external companies and individuals. You don’t want to burn a bridge even before the first plank is laid. A potential client can do a quick search of your blog (and other public profiles) to see not only your skills and expertise, but also your personality and character. To be fair, while I do try to mitigate some of the company mentions that I make while writing for this blog (and for my clients), I also do my best to maintain a certain level of integrity and honesty. I will call a spade a spade. That’s why I wrote my open letter to Purolator Courier, for example. They needed to be made aware of their problems. It was not meant to be spiteful; it was meant to help them become a better business. And that is a big part of the overall consideration. If you go into writing an article with the right intentions, that will come through in your words. When I write a product review, I point out the shortcomings and issues so that the company can create a better product in the next generation. This feedback, both positive and negative, is meant to be constructive. I mitigate the mentions insofar that I try not to be sound hateful or disrespectful. This does not mean that I am always positive. Once it’s on the Internet, it’s forever. Considering how much I rely on referrals and “word of mouse” marketing for the success of my freelance writing business, I recognize that I need to choose my words carefully. I may not write for Purolator today, but what’s to say that I won’t at some point in the future? Michael, I have noticed you have writing on a theme recently on btr about Talk Less, Say More. This example is that you must be able to balance what you say with how you say it. Being in a school district I am very aware of what I write in Edutechation. I want to write a balanced post, but I also have to remember that I follow a district perspective or view. It is important that I am balanced, but I have watch how I write what I say. It is a tight wire balancing act.